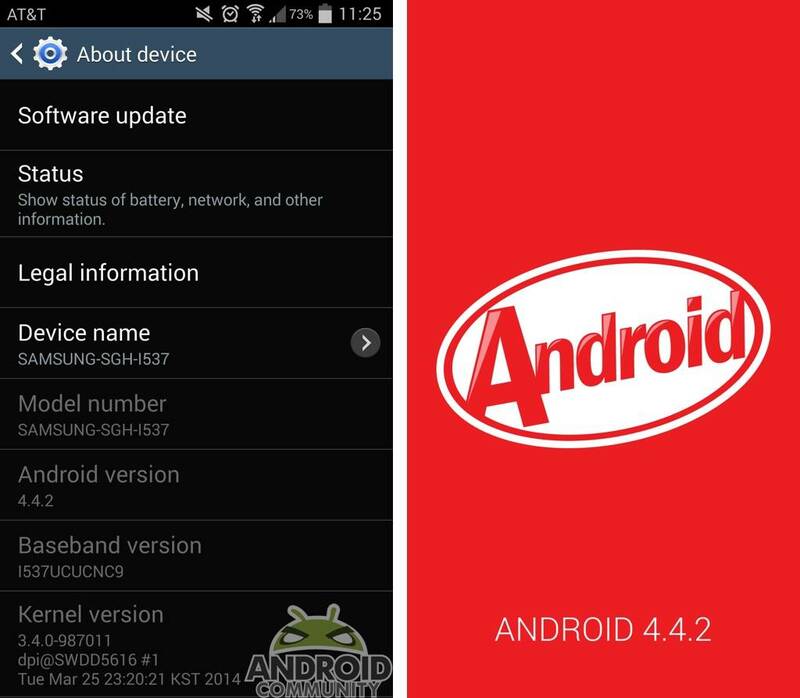 There is a bit of good news for AT&T users carrying a Galaxy S4 Active -- an update is on the way and it is bringing Android 4.4.2 Kit Kat. The update is already in the process of rolling out, and according to details coming from AT&T, it will measure in at anywhere from 447MB to 877MB. The file size will depend on which version you happen to be updating from. For reference, our Galaxy S4 Active review unit had been running Android 4.3 and the update is coming as a 426.84MB file (below what was expected). Regardless though, you will need to be connected to WiFi in order to get the update from AT&T. Once the update has been downloaded and installed -- the handset will be left sitting with Android 4.4.2, baseband I537UCUCNC2 and build number KOT49H.I537UCUCNC2. Otherwise, as with any device updates you now have two options to consider. You can sit back, wait for the notification to arrive and then simply follow the prompts. Or you can follow this path to try and get the process started now; Settings -> More -> About device -> Software update. The update is still being downloaded (rather slowly) on our review unit. But we'll be sure to update this post if we notice any issues after we start playing with Kit Kat. [Update] The download has finished, and the update has been completed. We have only been using the handset for a short while, but no issues immediately stand out. If you are an AT&T Galaxy S4 Active user -- make sure to let us know about your experience.